This week: sanctions against Russia over malicious cyber activity, reversing the ZTE ban, and Huawei has some trouble down under. 1. Is this a case of mistaken identity? 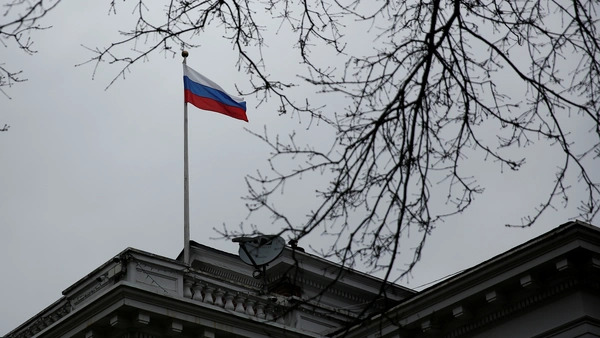 The U.S. Treasury Department issued new sanctions on five entities and three individuals linked to the Russia's Federal Security Service (FSB) in response to its malicious cyber activity. The Treasury Department's announcement did not mention whether the sanctions were in response to a specific incident, only referring generally to Russia's responsibility for the NotPetya incident, intrusions against the U.S. electrical grid, and recent compromises of routers. Two of the sanctioned companies, ERPScan and Embedi, are U.S.-based and provide services that help identify vulnerabilities in software and products designed by giants like Cisco, Microsoft, SAP, and Oracle. The Treasury Department argues both are owned by Russian company Digital Security, which it accuses of “providing material and technological support to the FSB.” ERPScan Chief Technology Officer Alexander Polyakov said in a statement to the Register that the designation of his company might have been in error given that his firm is "not a subsidiary of any company listed" in the sanctions list. 2. Deal or no deal? The Senate has attached an amendment to a must-pass defense bill that would void the Trump administration's deal with Chinese telecom company ZTE, and reinstate a ban prohibiting it from doing business with U.S. suppliers. Last week, the Trump administration threw ZTE a lifeline by replacing the ban with an over $1 billion fine and compliance requirements as a "personal favor" to Chinese President Xi Jinping according to one senior White House official. That didn't sit well with a bipartisan group of Senators because it would effectively save a company the U.S. intelligence community deems a national security threat. The White House reacted to the Senate's amendment by calling on Congress to "respect the separation of powers." The defense bill, with the ZTE ban, is expected to pass the Senate next week and will be reconciled with and already-passed House version of the bill. 3. Setbacks for Huawei down under. Chinese telecom giant Huawei suffered two setbacks in Australia this week. First, the governments of Australia and the Solomon Islands inked a deal to build an underwater fibre optic cable that would link the two nations. Huawei had signed a deal with the Solomon Islands in 2016 to explore building a link between it and the Australian mainland, but that drew objections from Australian intelligence agencies. Now, Australia will pay for the bulk of the construction in an effort to keep Huawei out. Second, Australia's Financial Review reports that Prime Minister Malcom Turnbull is expected to announce that Huawei will be prohibited from bidding on contracts to build the country's 5G infrastructure. The likely ban recalls a similar decision in 2013 when the Chinese telecom giant was banned from supplying the country's national broadband network over national security concerns.